Topshop will invite fans of Netflix's Stranger Things to its flagship store to watch two episodes of the series the evening before it launches to the public. The retailer is opening the Stranger Things-inspired cinema at its Oxford Street store as part of its Halloween marketing activity and to mark the official launch of the second series of the Netflix programme on 27 October . Topshop will transform its flagship store from tomorrow to be themed around the Stranger Things world, which features supernatural events unfolding in 1980s Indiana. Customers will be invited to immerse themselves in some of the show’s most memorable moments. Fans can experience settings including the "Upside Down", Hawkin’s Lab, the Arcade, and Will’s Castle Byers Den. The public can also enter a special draw to win an invite to the cinema screening. Shannon Purser, who played Barb in Stranger Things, will host the event. Stranger Things-themed marketing activity will also take place at other major Topshop stores around the country. 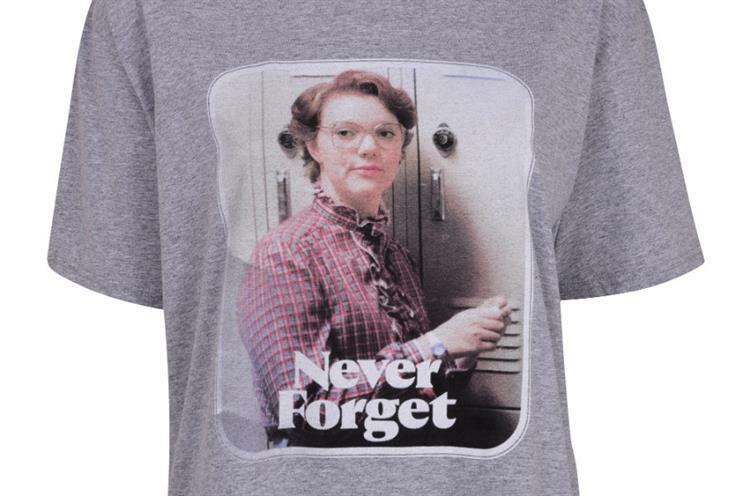 As part of the collaboration, Topshop has a created an exclusive Stranger Things collection of clothing and accessories that includes a selection of 28-retro inspired articles of clothing.